Product prices and availability are accurate as of 2019-04-19 12:12:35 UTC and are subject to change. Any price and availability information displayed on http://www.amazon.com/ at the time of purchase will apply to the purchase of this product. Living sustainably means realizing that small choices can have a big impact on our environment. Printed and assembled in the USA, the Tree-Free Greetings 15-Ounce Ceramic Mug with Full-Sized Handle is vibrantly printed with hard to find Daniel Smith art on 100 percent post consumer recycled paper, and is great for everyday use. It is reusable, replacing wasteful paper cups that wind up in your local landfill. BPA free and Proposition 65 compliant, this beautiful and durable ceramic mug has a generous full sized handle, comes with a protective gift box, and holds 15 ounces of your favorite hot beverage. Dishwasher safe, although hand washing is recommended to maintain vibrant colors. 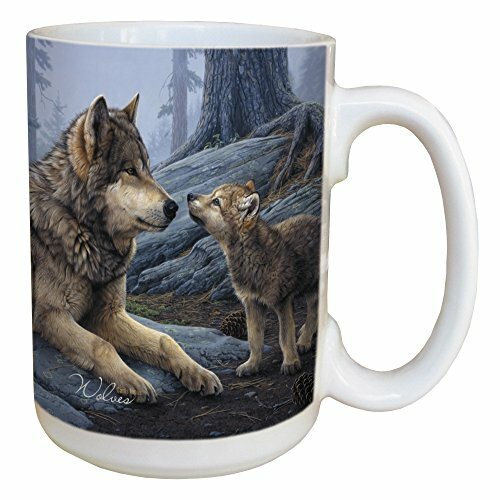 The 15-Ounce Ceramic Mug with Full-Sized Handle makes the perfect gift or souvenir. Save trees and spread joy, buy a Tree-Free gift today.